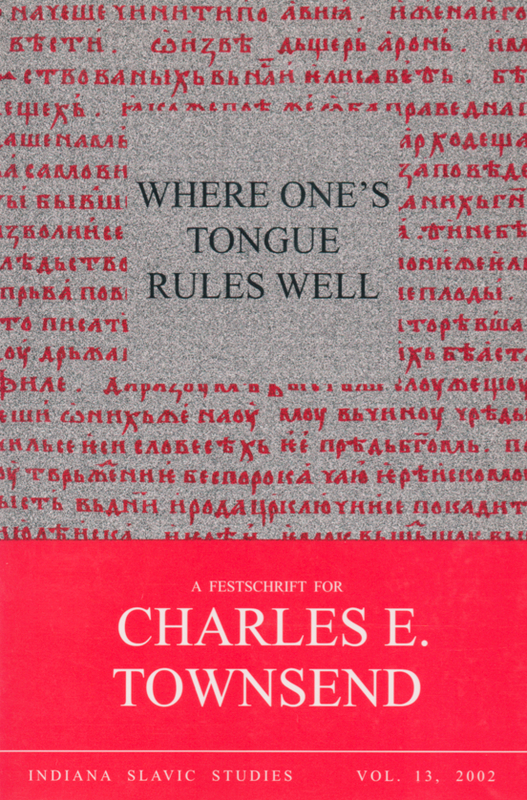 It may be stated without fear of contradiction that Professor Charles E. Townsend of Princeton University has been the most influential writer on Russian and Slavic grammar in the United States. Every graduate student devours his Russian Word-Formation, and returns to it over and over through his or her academic career. Many Slavists have studied Czech or Common Slavic from his books; and still others have studied or taught Russian from his textbooks. This volume in his honor features articles by his colleagues and former students devoted to four vital areas enriched by Charles Townsend's own scholarship and teaching: Language Function; Language Form: Phonology; Language Form: Morphology & Syntax; and Language in Context.